Medical Power of Attorney – Used in the event a questionable health-related decision needs to be made and the patient cannot speak on their own. The agent, selected by the patient, would be able to stand-in and be responsible for making the decision for the best viable option. 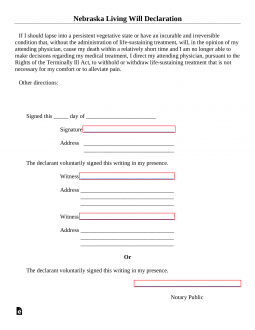 Step 3 – Notarization – If the notary public has witnessed the signatures, they too must sign the document and affix their state seal.